Economics Essays: What Causes Recessions to End? What Causes Recessions to End? This is a question people in Ireland, Greece and Portugal will desperately be asking. Unfortunately, the answer involves pretty much the opposite of what is occuring in their economies. In a 'normal economic cycle' we get a boom, with inflationary growth. To reduce inflation, the Central Bank raises interest rates. This reduces inflation but as a side effect causes a fall in economic growth and unemployment. However, the Central Bankers will say the 'pain is worth it' after inflation is reduced, the Central Banks can cut interest rates allowing the economy to recover. This is exactly what happened to the UK in 1981 and 1991. We raised interest rates to deal with inflation, then interest rates were cut. A depreciation makes exports more competitive and causes an increase in demand from overseas. This devaluation is often a catalyst for recovery. It is especially effective if the rest of the world is enjoying a period of growth. It is also important if the economy has become uncompetitive and has a large current account deficit. For the Euro members there is little chance of devaluation. If anything, the Euro could appreciate on the prospect of rising interest rates. When we are in a liquidity trap and zero interest rates are failing to boost demand, we often need to rely on expansionary fiscal policy. Government spending takes over from private sector spending and can stimulate demand in the economy. To an extent the UK's expansionary fiscal policy in the height of the recession did play a role in boosting fragile consumer spending and helping to lead to an economic recovery. Unfortunately, due to worries over government debt levels, many countries are prematurely implementing austerity packages which could cause recoveries to be snuffed out. Real business cycle theories argue that government intervention does little, if anything to bring an end to recession. 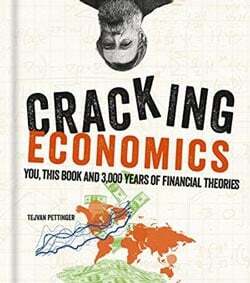 They argue economic cycles are caused by cycles in technology, business investment and consumer spending. For example, in a downturn, firms reduce investment, but after a certain time are forced into replacing worn out machinery. Consumers may delay buying expensive items, but, then need to buy when it wears out. This view of economic cycles suggests there is a bigger role for allowing market forces to bring recessions to end. Real business cycle theories argue that recessions are just temporary blips in the longer upward trend in economic growth. However, some recessions are much deeper and cannot be explained away by fluctuations in technological innovation or supply side shocks. For example if there is a decline in money supply, falling asset prices and bank losses recessions can be very deep. In these cases, the issue of inventories / supply side factors becomes relatively minor.